This is a real-life story testing your own moral beliefs. Identical twin sisters struggle with conflicting emotions, which finally tear them apart, but their souls searching for the right path find it, leaving only love and hope. Story Setting: Los Angeles, Washington, D.C.
About the Story: This is a story about Diana Moore, seemingly living a charmed life. It is also about her twin, Nadia Carmichael, who has had the worse of possible fortune. They were parted at birth when their birth mother died, neither knew the existence of the other. Diana Moore became the daughter of a wealthy senator who has had great success in the political scene. She’s also been given the best education and social standing possible. Nadia starts life with heart problems and until her heart was repaired when four she’s moved from one foster parent to another. She is finally adopted into a poor family. When she’s nine, her dad walks away leaving Nadia’s mother to take care of them both. They hardly have enough to keep going, but when her mother can’t keep up with the rent, they are evicted by the landlord. Misery issues, living out of the car. Fate plays with us all no doubt. Even though Diana’s home is in Washington, D.C., she’s living in Los Angeles, working as a lawyer for a top-notch firm with an exceedingly handsome man sharing her bed. Nadia is also in the same town, only blocks from Diana, working at another law firm as a receptionist. People who know Diana tell her about seeing someone who looks exactly like her working in another firm. This is when she discovers she has a twin and contacts her, which changes both their lives forever. It is all a shock for Diana and Nadia. Twins have a lot in common, even though they have completely different upbringing. And this my friends, is the rub. My Thoughts: This was a deep emotional read, with no clear ending in sight, taking twists that take the reader into the anguish of both sisters, nodding in agreement, thinking, yeah, I get that. Diana realizes that she’s had the world given to her. She’s a lucky woman. And she also sees the life Nadia has suffered. She has compassion for Nadia and introduces her to a better life. The first four chapters start out in the worst possible time of Nadia’s life, in her voice. The next chapters take us back into Nadia’s past. She tells the story of how she managed to get herself in such a situation. She states that the past doesn’t dictate the present, but she wants the reader to understand why she did what she did. It also allows the reader to understand what is happening. It’s a nifty style of writing that Julianne MacLean uses. At chapter 12 we begin Diana Moore’s story. She also tells her story, in first person. Rick Frazier, her boyfriend, was part of her life and she wanted him to be a larger part. But, seriously reader, Rick had problems. He didn’t want commitment. He just wanted to be with, no strings attached, an extremely successful girl with a high society family. He had been with Diana for two years, living in her apartment. The relationship starts unraveling when she mentions she’d like to eventually get married and have children. At the reaction Rick had, I was ready to kick him out of the apartment myself! Diana for all her success, still second guesses herself, unsure if she makes the right decisions. Nadia knows she’s damaged goods, but feels the world owes her more. And when these two worlds come together, the pain of the path these two women take is extremely emotional, full of betrayal, but eventually of healing. I teared up several times. I liked the voice of the narrator. It has a unique quality, adding to the spirit of the book. It wasn’t overly cultured, but very down to earth and seemed perfect for these two women. The philosophical part of me pondered that both voices being exactly the same for the twins, was something of an equalizer for two women with such vastly different backgrounds. In the final analysis, was there really so much difference between the two women, after all? I hope to be able to catch more of her series. This book/audiobook was well worth the read/listen. Not only is it a well-written plot, but it gets you thinking about human nature in general. What acts are forgivable? Is being truly sorry for doing something stupid enough to be able to be forgiven? What should you expect from a long-term relationship? How much do genetics versus environment play in who we really are? It is my understanding that the series is not held together by a particular family or town or an overall plot needing resolution. Its only continuous thread is its real-life magic. Even though Julianne MacLean has eight books written she has no end number in mind. I hope to be able to catch some more of her series. This book/audiobook was well worth the read/listen. Not only is it a well-written plot, but it gets you thinking about human nature in general. About the Author: USA Today Bestselling author, Julianne MacLean came to the romance genre after completing a degree in English literature from the University of King’s College in Nova Scotia. She fell in love with some of the classic romances – Jane Eyre, Wuthering Heights, Pride and Prejudice – and after a brief stint as a federal government auditor, decided to try her hand at becoming a modern day romance writer. She is a three time Rita Finalist and winner of numerous awards, including the Romantic Times Magazine Reviewers Choice Award, the Colorado Romance Writers Award of Excellence, and the Greater Detroit Romance Writers Booksellers’ Best Award, and has sold over 1.2 million books in North America alone. She is a devoted wife and mother, and loves to travel. She has lived in New Zealand and Ottawa, and is now settled happily in Nova Scotia, while working on her latest historical romance. About the Narrator: The narrator just sort of fell into narrating books. I love her story. You know what they say about being in the right place at the right time. It appears that’s just what happened to Jennifer. Twice, in fact. In her twenties she studied and worked in theater as an actor and director, but changed her career direction in her thirties. While teaching ESL (English as a Secondary Language) in Prague, she befriended a couple of men who ran a film production company. The company needed a female for voice over work for an adult internet video game. She was more or less coerced into trying out for the part and got it. She really enjoyed the experience which brings her to being in another place at the right time. Back in New York, she was approached by a past friend who worked as a director for one of the first audiobook production studios. She got the job as a director for audiobook production. This was a wonderful experience for her since she learned from some talented narrators in the business—Jenny Ideda, Therese Plummer, Christine Moore, Nicole Poole. 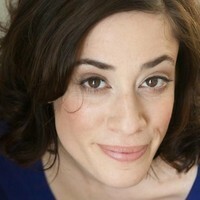 From there she joined a new studio, Brick Shop audio, Inc. who wanted her to narrate audiobooks. Since then, she hasn’t looked back. In less than a year she has voiced 13 books. She has been working on the series the color of Heaven since. The production of THE COLOR OF THE SEASON will release in November, 2014. Jennifer gravitates toward stories that deal with complicated family dynamics, love, loss and hope. The Color of Heaven incorporates all of those elements and explores them beautifully. She loves working on the series. 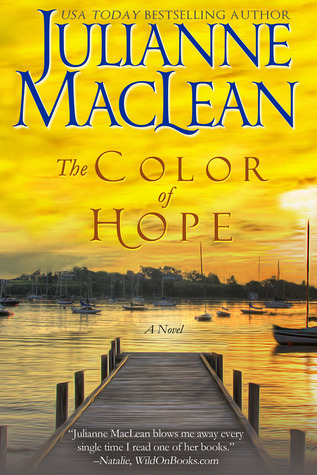 This entry was posted in Audiobook, Audiobook Review, Book Reviews, Contemporary Romance, Real-Life Fiction, Romance, Women's Fiction and tagged Audiobook Review, contemporary romance, Julianne MacLean, The Color of Heaven Series, The Color of Hope. Bookmark the permalink.